﻿ West Side Market - Ohio. Find It Here. The West Side Market- Clevelands oldest continuously operating municipally owned market. Built to replace the Pearl Street Market, located on the opposite corner since 1840, it was one of three public markets in Cleveland that included the Broadway Market and the Central Market. All three served Clevelands growing immigrant population in the early 20th century. Only the West Side Market remains.Championed by Mayor Tom L. Johnson and designed by renowned local architects W. Dominick Benes and Benjamin Hubbell, the grand 241? x 124? structure has 44-foot high Guastavino tile vaulted ceiling, and a clock tower, which stands 137? tall. The tower was historically fashioned with a clock designed and manufactured by the Seth Thomas Clock Company. Construction commenced in 1908, the cornerstone was laid in 1910, and on October 31, 1912, Mayor Newton D. Baker hosted the Markets dedication ceremony. The total construction cost was $734,890.72. Originally, there were 109 stands inside selling meats, dairy products, bread, groceries and ethnic specialty foods. Produce was sold from curb stands until the outdoor produce aisles were erected a few years later.In 2008, the West Side Market was designated as one of 10 Great Public Places in America, by the American Planning Association and continues to offer an authentic and culturally diverse shopping experience. 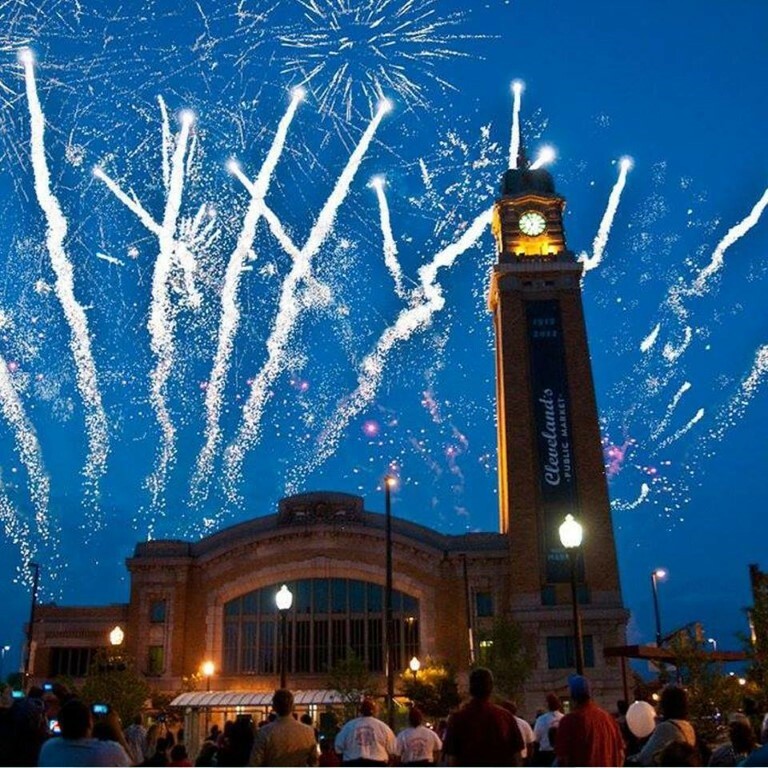 The West Side Market celebrated its Centennial in 2012.